How can you relieve dry eyes? Eyes feeling gritty and sore? Dr Colin Chan explains what causes dry eyes, and how to treat and prevent this common, irritating condition. Imagine there’s a bit of grit in your eye, but you can’t get it out no matter how hard you try. Your eyes become red and itchy and sensitive to bright lights. You start to have difficulty reading and watching TV. You wake up at night in pain and wonder if you’re going crazy. 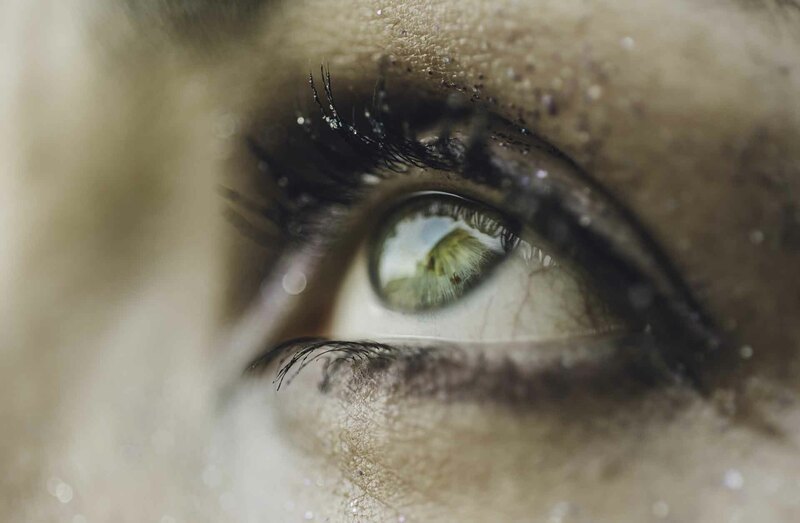 This is what it can be like to have dry eye, a potentially debilitating condition that affects about one-third of Australian adults and half of those aged over 50. Many people may not realise that what they’re experiencing isn’t normal. Women are much more likely to get dry eye than men. There are a number of reasons for this, including hormonal changes during menopause and the widespread use of toiletry and cosmetic products. Dry eye is commonly confused with other conditions, particularly allergies, and you should seek help from a qualified eye-care professional to ensure a correct diagnosis. Treatments are aimed at relieving symptoms and improving quality of life. "Ironically, some of the so-called ‘red eye’ drops that you can buy over the counter can actually make dry eye worse." Dry eye is a complex disease involving a number of factors, not all of which are fully understood. Contributing factors may include using contact lenses, ageing, menopause, blepharitis (inflammation of the eyelid), rheumatoid arthritis, certain medications, and physical factors (e.g. eyelids that do not close properly, leaving the eye exposed). Many sufferers of dry eye are particularly sensitive to chemicals and toiletries/ cosmetic products. In addition, they may unknowingly be using products harbouring bacteria, which can infect and irritate the eye. Avoid applying eyeliner to the inside of the eyelid rim or permanently tattooing the eyelid margin. Avoid using make-up that has expired. Avoid using make-up that contains sparkles, glitter or mineral powder. Regularly change make-up applicators (eg. brushes). Ironically, some of the so-called ‘red eye’ drops that you can buy over the counter can actually make dry eye worse. While they seem to work initially, you’ll notice that you need to start taking them more often until they’re no longer effective. These types of drops (not to be confused with regular saline or artificial tears) should be avoided as much as possible. How can you treat and prevent dry eyes? There are a number of treatments that are simple to implement into your daily routine. The earlier dry eye is diagnosed and treatment initiated, the more chance there is that the condition won’t progress further or lead to complications such as corneal ulcers, corneal scars or, extremely rarely, loss of vision. Regular artificial tears. At least three to four times a day. Think of your eyes like a plant that needs to be watered regularly. Warm compresses. With either a face cloth or heat bag. Eyelid hygiene. Keep eyelids clean, especially if they get crusty. Throw out old make-up. Omega-3 fatty acids. Include these in your diet. They're found in oily fish, linseeds, chia seeds, tofu and walnuts, and supplements are available. Electronic devices. Take regular breaks and don’t forget to blink. Humidification. Use a humidifier at home, especially if you’re in a temperature-controlled environment at work. Smoke free. Avoid cigarette smoke and dusty environments. If you smoke, quit now. Antihistamines, oral contraceptives and even some “natural” remedies can exacerbate dry eye. Treatments for chronic sufferers include topical medications such as steroid eye drops or insertion of tiny plugs to redirect the flow of tears. Newer treatments include Manuka honey eye gel or intense pulsed light (to reduce eyelid inflammation). Sometimes it’s a matter of finding the right combination of treatments. While a cure for dry eye continues to remain elusive for now, symptoms can generally be controlled to maintain your quality of life. For more expert advice on dry eye and eye health, visit Vision Eye Institute.